Beyond the age of 25, your skin starts to lose its natural collagen and its ability to reproduce it. 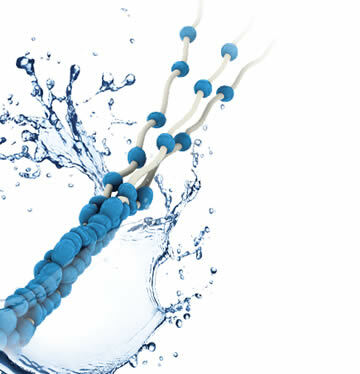 Collagen is responsible for the level of moisture in your skin, its smoothness, resilience and suppleness. When it starts to disappear, the skin turns dry, losing its radiance and vitality, and then wrinkles start to appear. What can you do about it? You can effectively stop this process by using cosmetics containing natural, premium collagen. It is for you that we have created the innovative LARENS cosmeceutical product range with natural collagen, extracted from premium fish species. The discovery of natural collagen is a revolution in the world of cosmetology. So far there has not been found an equally effective way to fight aging skin. Natural, precious collagen not only minimizes wrinkles, but it also effectively delays the process of creating new wrinkles. So you can enjoy your youth longer. You are part of nature. Use its resources to effectively fight the signs of aging skin.